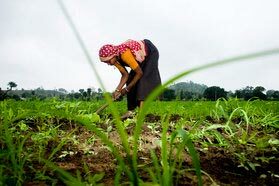 India’s forest cover accounts for a little over 20% of total land and is home to more than 8% of tribal population. More than 90% of them live below the poverty line, struggling for their basic survival. Read the testimonial by Ditabhai, a tribal living in the reserved forests of India on his life and struggle with rights. Winding paths through dense vegetation and three hillocks leads to the village of Morchucha, in the Jharol bloc of district Udaipur. All the villages in this bloc are entirely under the reserved forestland marked by the State. In the distance peacocks roam freely and the goats chomp on fresh new leaves. 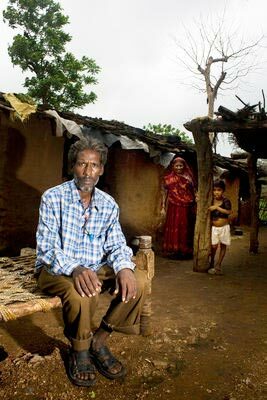 In the past, the tribals colloquially referred to Adivasis have faced large-scale displacement from their ancestral land by an exclusionist policy of conservation followed by the state. But with the historic Scheduled Tribes and Other Traditional Forest Dwellers Right (Recognition of Forest Rights) Act 2006 things are fast changing. Dithabai has been associated with the Forest Land People’s Movement for over a decade now. The Movement launched in 1995 by Astha Sansthan, DanChurchAid’s partner in Rajasthan, has its work spread extensively in three blocs in Southern Rajasthan. “Two generations of my family have lived here on these hills. I have 15 bighas (five bighas is two hectare) of land and we grow crops on it; different kinds of lentils but mainly corn. We can often afford to sell some parts of the produce, but not without ‘cutting in our stomachs’. I have eight people to feed in my family. What I grow is never enough though, so I have to travel far away to work on other people’s land. In the past forest officials used to dictate terms to us. They would beat us up, abuse us and harass us. They would demand money or a chicken to leave us alone. But all that has changed now. Now nobody comes any more. I know of the new forest law. I learnt of it in a camp organized by Astha. I think a lot of people will get their rights with this new forest law. Most of us were completely ignorant in the past not knowing how to demand what is rightfully ours. But now I know about the Forest Right Act and how to fill in claims for land. This is our forest and for long, we have faced a lot of harassment for living here. Our livelihood is dependent on this forest. Why should we harm it? There are no animals here, but I do believe that man and animals can stay amicably without any conflict. Under the banner of the Forest Land and People Movement (Jungle Zameen Jan Andolan) started by Astha Sansthan, we struggled for our rights, for what is rightfully ours. For long we have been exploited by those in power. They used to oppress us and put us down, but not anymore. You see, one individual cannot fight alone. When we are a collective we can achieve so much. I have been involved with the Jungle Zameen Jan Andolan for 30 years now. I have been all over for rallies and public meetings: in Kotda, Jaipur and Delhi. Even my wife went to the Delhi meeting in 2006. I think the biggest benefit of this struggle is that our land is with us. We can go into the forest and collect minor forest products. Our cattle can graze on pasture land. I am also part of the Van Adhikar Samiti (Forest Rights Committee) of my village. This committee is meant to help people access traditional forest land and help them access legal claim for common and individual land. We have, till now sent 120 forms for claims, out of which 28 have already been cleared and reached the office of the District Magistrate. Smt. Sanklibai is a tribal women living with three daughters and two sons. 14 years back her husband died due to snakebite. After the death of husband, her in-laws tried to escape her from the property but she didn’t loose patience and continued on the land. She has started labouring and brought up the children. In 2000, she became member of the Ekal Nari Shakti Sanghthan, where she knew that how the Association strengthen the life of widow/ single women. She attended 10 days literacy camp and learnt to read and write. Also, she got other information about the rights of widow. She opened grocery shop and along with the shop she continued to reading and writing. After three months her mother expired and she has to attend the follow-up training on literacy at Udaipur. She shown willingness to go Udaipur but the villagers became angry saying that your mother has expired and you have to take lead to perform the customs. But, she replied that my mother is died and I feel sorrow. My mother can’t come back if will stay here or not. It will better if I go to Udaipur and come back after attending the training. Likewise she attended two follow-up camps of 5 days each. Now, she became block committee member and conducting block level meetings. She can write name, report, maintain petty expenses, fill-up travel expenses, read books, newspaper etc by herself. She is happy and helping people.